It is sad to observe but I fear that Mr. Harper has found such an evil but effective issue for the coming election, will exploit it, and that many will support him for it. What the hell is the matter with us, anyway? The prime minister of Canada goes out of his way to criticize the Federal Court of Canada because it permitted a woman to take the oath of citizenship while wearing a niqab, a veil. 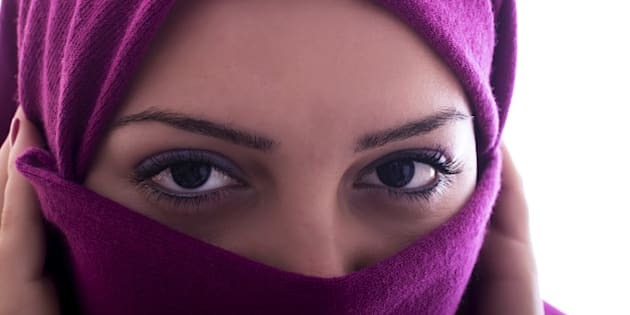 She made it clear that she would be glad to remove the niqab privately to confirm her identity. But Harper, whose government intends to appeal the court ruling, says covering one's face during a citizenship ceremony is "not how we do things here." Harper has made this and his proposed anti-terrorism legislation, Bill C-51, into political issues, deliciously timed for a fall election. I tell you frankly, up front, I think this is not only wrong, but also racist. I realize those are strong words but I've given it a lot of thought and I can't think of anything else. Why on Earth would anybody, much less the prime minister, care what somebody else wears? I have watched the letters to the editor and have seen statements such as "When I talk to my shopkeeper, I want to see her eyes," and "To me it's essential that I see the other person's face when I talk to them." But, dear people, it is not illegal for a woman to wear a veil in Canada. If it's not illegal, how the devil can it be un-Canadian? It takes me back to 1993 when legions in British Columbia were refusing to allow Indo-Canadians to celebrate Remembrance Day in their precincts because they were wearing turbans, the excuse being that a turban is a hat and not to remove it in the "presence" of the Queen was unpatriotic. Well then, I suppose that on the strength of the prime minister's declaration, we should now refuse to allow Indo-Canadians to take the oath for citizenship unless they take their turbans off. Where the devil does this stop! The English-speaking part of this country spent a protracted period coming to grips with French-Canadians. Conn Smythe, owner of the Toronto Maple Leafs, is famous for having opened at least one speech with "Ladies, Gentlemen and Frenchmen." He did not permit the Maple Leafs to have a French-Canadian player until the Second World War when players were so short that the team reluctantly took Paul Bibeault, a goaltender, believe it or not, on loan from the hated Montreal Canadiens! In my time as a lawyer, there were still restrictive covenants on land in British Columbia preventing Asians or Jews from owning it. Japanese Canadians were not permitted to vote in B.C. elections until 1949 and Aboriginal people could not vote in federal elections until 1960. Little wonder that we needed a Charter of Rights and Freedoms! There has been a mean streak in the Conservative party for a long time, confined until Harper's time, to the far right wing. This was marginalized successfully during the time of Joe Clark and Brian Mulroney. I briefly belonged to the Conservatives in my multi-party political career, because I so respected my old friend John Fraser -- the former cabinet minister and House of Commons Speaker -- and the sort of Tories that were the mainstream of what had become a moderate party with no time for the racist and "hang them high" branch in the party. I thought the Tories had changed but reckoned without the rise of the "right" under Stephen Harper. The Harper government has been a nasty government from the beginning. Any government that could have Victor Toews as public safety minister for two years has got to be seen as mean spirited. Harper's support for him continued when poor old Victor, having resigned, had to struggle along on an $80,000 indexed pension. Even though he has pled guilty to violating election laws while an MLA in Manitoba, Toews was made a justice of the Manitoba Court of Queen's Bench by the Harper government. It's one thing for the Harper government to be mean spirited, it is quite another to run an election on the basis of exploiting fear. Victor Toews did that. Bill C-51, the anti-terrorism bill, does exactly that if the summaries that I have read are even close to being accurate. There is, of course, a clear danger from jihadists now battling in Iraq and Syria. There's no doubt that this must be resisted and that we must accept the fact that there's a real danger that violence will be visited on Canadians. The fact remains that there is absolutely no evidence that authorities cannot deal with this threat with the powers that they have. Moreover, there is always substantial reason to suspect that giving authority extra power means abuse of that power. That has been the history of such moves, and as I pointed out two weeks ago, we only need look at the United States of America during the communist threat. The bill is dangerously open ended. It permits widest powers to the authorities secretly to tap wires and disrupt the affairs of suspects, with this dangerous wrinkle: the Canadian Security Intelligence Service need not suspect that somebody is a terrorist but just may be a terrorist. This is a huge challenge to the basic civil liberties of Canadians. Let me emphasize this. No one doubts that there is a serious threat from outside our borders, which is aimed at our internal security. The question is, does the government need the powers that it demands in Bill C-51 to deal with this? If you examine the evidence -- and I recommend the CBC archives -- the answer is clearly no. It's not safe politically to oppose Mr. Harper either on the niqab issue or on C-51. The inference is that you're un-Canadian not to be concerned about a woman swearing allegiance with her face covered or with terrorism within our country or if you won't accept the loss of a few rights here and there. Surely no one but the terminally naive would suggest that there's not an undercurrent of racism in this country. This racism is easily directed at those who look different. It follows that all one need to do is raise suspicions about a very few who are different to visit those suspicions on the whole lot. I accuse Prime Minister Harper of doing precisely that. I don't suggest for a moment that everybody embrace everybody else and express his or her love for all of every race, colour and creed. That's not the point. What is the point is that we accept and respect everybody else who obeys the law as we expect him or her to accept and respect us. One can only hope that Canadians will rise to be better than that. This column was first published in The Tyee.